Since time immemorial, missions were seen to be a one-way traffic from the West to the rest of the world and that time is fading away fast and we are living in a time when we are all partakers of this Godly mandate. 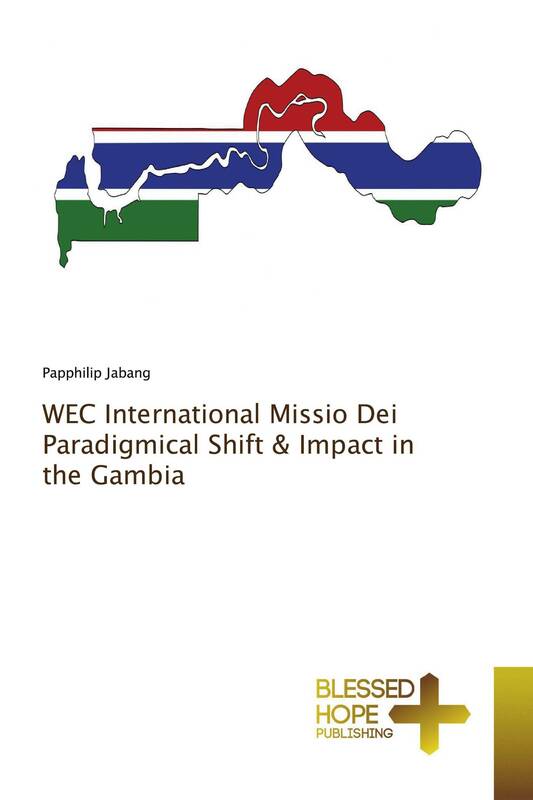 This book is about WEC’s operations and impact in the Gambia. The author decided to limit his deliberations on WEC’s operations in the Gambia but does not fail to include or deny their other operations in other countries on the African continent. The author is fortunate to visit WEC in four countries namely; Gambia, Senegal, Ghana, Guinea Bissau, and Kenya. The spiritual, social and cultural impact of WEC in Gambia covers themes of Christian missions. This is not a systematic presentation of major issues in the field of study but serves as a complement to most of the traditional missiological books and practice. This book is positive and also evangelistic in nature for the missionary and would-be missionaries. It is intended for students, missionaries, would be missionaries, pastors, professors, coordinators, philosophers, project managers, missionary sending agencies.